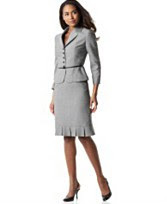 This beautiful Tahari Belted Skirt Suit, yours for only $199.99 (eek!!) at Macy's. ... but I wonder if my grandmother still has hers buried in a chest or closet somewhere? Happy Halloween!! Here in Atlanta it has been rainy and cold all day. The PERFECT day to have something cooking all day in the Crock Pot. I decided to try out Spicy Beef Vegetable Stew, a recipe that I found while bored in class on Thursday. - I couldn't find a 16 oz. bag of the frozen vegetables that I wanted, so I bought the 32 oz. with the intent of only using half - I think I used more than half but it didn't seem to overpower the stew to use more than it called for. - Next time we will DEFINITELY use LESS pepper than the 1 teaspoon that it calls for. If you like pepper or need your sinuses cleared, I would say use the full teaspoon - otherwise, I would recommend cutting it in half. - Even on low, it started to boil around 6/7 hours - so make sure you are around after it has been in for awhile to stir. Here's to warming up a rainy day!! So I am exhausted. Absolutely exhausted. Apparently I'm not as good as traveling hard during the weekend, getting no sleep during the beginning part of the week so I can catch up on what schoolwork and then still functioning towards the middle/end of the week as I was in college. 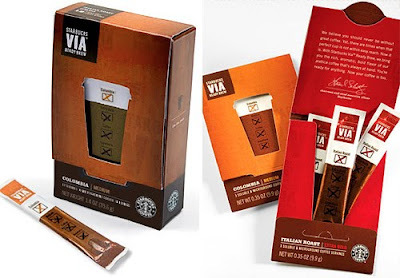 And - I do not know how we let this happen - there is no coffee in our apartment. How am I supposed to bounce back? But I am still here - (barely) running on the adrenaline from the weekend and I HAVE to tell you how it all played out. It was really quite fabulous. For the past month or so, Neal had been planning on driving down to visit with Bruce and me last week. We planned his trip around the anniversary at St. Johns so that I could drive back up to PA with him on Friday and only need to fly one way. I save some money and Neal and I get to spend some fun, road-trip-filled quality time together. I was going to drive home on Sunday night after the anniversary with my parents and then fly out on Monday night. 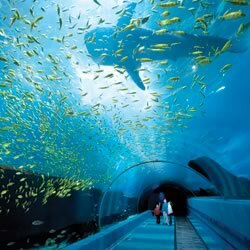 Well at the very last minute, we decided that it would be fun if Bruce came with us. And when I say "last minute" I mean very last minute - I mean Friday ... afternoon. When the original plan was to leave Friday morning. We decided we wouldn't tell my family and that Bruce would just show up with me on Saturday night when I made my way to my aunt's house to meet up with them. It ended up working perfectly - after a long trip up the east coast we stayed at Alex & Neal's apartment on Friday night (does it count as Friday night when you arrive at 2 a.m. Saturday morning?). And while Sarah and I were stimulating the economy on Saturday afternoon, Bruce and Neal drove to Myerstown to drink Swiss Tea and spend some time with Bruce's family. Saturday night Bruce and I borrowed Neal's jeep and drove to meet my family in Nazareth. My parents were SHOCKED to see Bruce. It was SO much fun to surprise them and even more fun that he was with us to share in such an awesome celebration. Here we are after church on Sunday. Now - if leaving 3/4 of a day with an extra person later wasn't complicated enough ... Bruce now needed to fly back to Atlanta so he could get to work on Monday (I don't have class on Monday which is why I waited until then to fly out). So Bruce took Neal's jeep, drove back to Sarah's house, left the jeep, got in Sarah's car and she drove him to the airport. Neal then had to have Alex bring him to Sarah's so he could pick up his jeep. Sound complicated? It was - but my friends are AWESOME and did what needed to happen so that we could have this time with our family. And lest I forget my awesome Atlanta friends - many thanks to Steven for picking Bruce up when he got in at 11:30 p.m. Sunday night!! Speaking of awesomeness - before taking me to the airport my mom wrote me a check to pay for Bruce's flight back to Atlanta. They were just so happy to see him. So - am I exhausted? Yes. Sarah as she and I did our part to stimulate the economy at King of Prussia Mall in Pennsylvania on Saturday. After a wonderful whirlwind weekend ... a weekend that consisted of a 13-hour drive through the rain from Georgia to Pennsylvania, a shopping extravaganza with my guest blogger Sarah, dinner with a bunch of rowdy Penn State fans, Bruce surprising my parents, an amazing 150th anniversary celebration at St. Johns, a beautiful fall-colored drive to Connecticut and a morning in Kent, CT ... I am back in Atlanta!! I have a paper due tomorrow that I started about 25,000 feet in the air, but I will be back throughout the week to talk about why I love the northeast, why my family is awesome, why I am proud to be part of the UCC and why I have the greatest friends ever. ... there is a hot air balloon landing pad near the PA/NJ state border on I-78. It was GORGEOUS on Sunday so we saw dozens flying over the highway!! Congratulations to St. Johns United Church of Christ in Nazareth, PA - they celebrated their 150th anniversary this morning!! This is the church that my dad grew up in. This is the church that my grandfather served for 18 years. This is where my parents met. 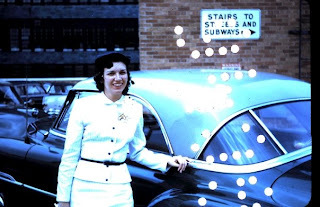 This is where my parents were married. This is where my mom was ordained. This is where my grandfather baptized me. This is where we said our final farewells to my grandfather in 1986. Their anniversary theme was "Following His Footsteps"
For 2,000 years, we have followed. We have walked, run, stumbled ... perhaps even skipped at times. Now is NOT the time to stop. How can YOU follow in Christ's footsteps? 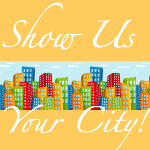 I was reading Leslie's blog tonight and she was participating in a fun blog hop, "Show Us Your City" hosted by Jax at The Roaring Twenties. 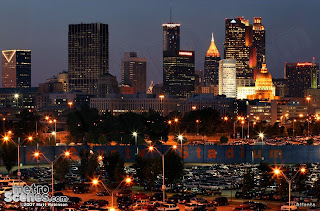 I thought that it would be fun to link up and show you a southern city through the eyes of a northerner!! 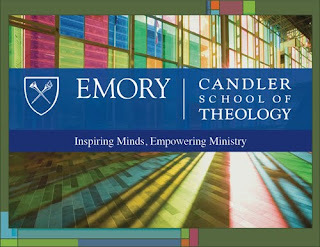 My husband and I moved to Atlanta in the summer of 2007 so that I could start a masters program at Emory University. My program is three years and this is my last year!! It is hard to believe that I have made it this far. 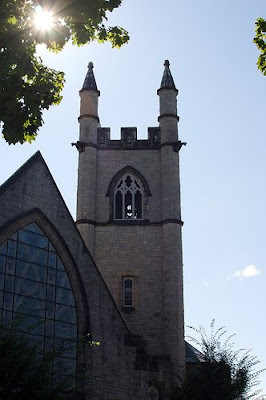 This is the very beautiful Cannon Chapel on Emory's campus. I am a theology student so I tend to spend a lot of time here!! 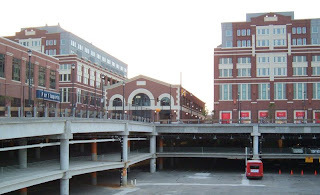 This is one of Bruce and my favorite places to shop - the Dekalb Farmer's Market. 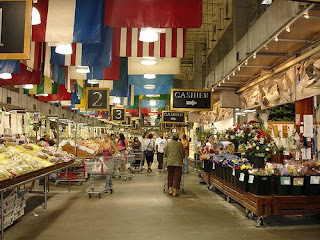 It is a huge international farmer's market with an amazing selection of fresh produce, meat, coffee, spices and more!! Everything stays fresh for longer and it is so inexpensive to shop there. They also have a huge recycling center adjacent to the market that takes virtually anything that can be recycled. 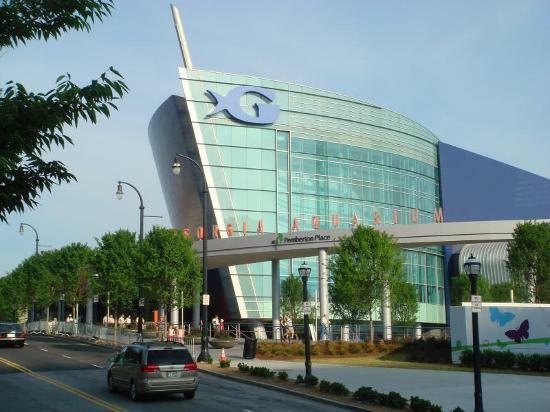 When people come to visit that have never been to Atlanta before, we usually take them to the Georgia Aquarium. 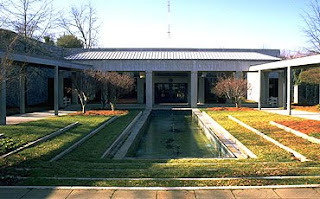 This is the Carter Center, which holds the library of President Carter. He really has accomplished so much since he left office and has connected with a lot of awesome organizations. I am so inspired every time I hear him speak!! 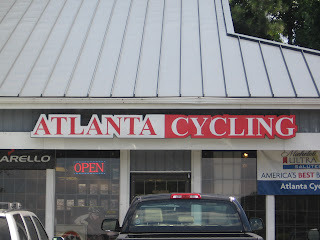 One of Bruce's favorite places ... Atlanta Cycling :) Somehow he always finds something one of his bikes (yes, he has two) NEEDS every time he stops in!! Well those are some of our favorites. Life isn't always easy when you take two small town northerners and stick them in a large southern city, but we are having a fabulous time trying to figure it all out!! The first time it happened I didn't think anything of it. I was at the Coast Guard Training Center in Cape May, NJ for Jason's graduation from basic training. "Good morning, Ma'am," a recruit said to me as he held the door open for me. "Ma'am?" I initially thought to myself. "Am I old enough to be called ma'am?" I shrugged it off because of where I was and what was expected of the recruits. It was the military, after all. If he did not call me ma'am and someone overheard that, he probably would have been doing pushups all night. AM I OLD ENOUGH TO BE CALLED MA'AM?! She has such a hard life. No, seriously - don't you feel badly for her? Who Says Girls Can't Build Fires? Anybody else tired of the Jon & Kate divorce saga? Don't need a reminder that no one could steal $230,000 from your checking account because you will never HAVE $230,000 to take? Don't think those children should have to go to school knowing that their friends and parents are seeing the ugly ins and outs of Jon & Kate's divorce played out in the tabloids and the highest bidding networks? Well have no fear - Cake Boss is back!! Bruce and I LOVE this show. Little drama with the exception of typical italian family bickering, amazing (and I mean AMAZING) cakes and really silly humor. Cake Boss premieres NEXT Monday, October 26th!! ... how did I not know about this before now? ... I have rallied from behind and beat my husband in a fiery game of racquetball. ... however I spared the other people in the gym of that particular sight and just raised my racquet high while I pumped my fist. And proceeded to tell Bruce that winners don't do the dishes. So my mom has been working all day on some school work that involves a lot of papers. She keeps telling me it's something called Systematic Theology, whatever that is. Yaaaaaaaawn. Seems pretty boring if you ask me. So far nothing crazy. Paul Tillich is talking about correlation, some guy named Karl Barth keeps saying how important Jesus is in the revelation of God. Oh - and a lot feminist trinitarians are trying to re-write the language of "Father, Son and Holy Ghost" so there are feminine figures in the mix too. I think I can handle this Systematic Theology stuff!! Wait, what?! Did I hear you right?! James Cone says God is Black?! What is this about a white distortion of God?! He's setting a revolutionary mood? Well I'm sure this gets people riled up in churches!! Well, darn ... Mom says that Cone's theology is really important. That sometimes it's okay to be a little radical. That conversations about race and ethnic diversity are really important in the United States, especially now. Well this stuff sure is giving me a headache. I hope mom finishes her midterms soon!! All the time. God is Good. Isn't that incredible? I got chills - because of the way the community has stepped up to help rebuild and also because of the power of blogging, of the way it's allowed me to connect to such incredible people, of how small it's made the world seem. Bruce walked into our living room last night and found me in tears reading this news story. It's about something that happened in the town that I grew up in and went to grade school. NEW MILFORD - United Methodist Church volunteer Hank LeMien's red-rimmed eyes roamed the walls of the Our Daily Bread food pantry Wednesday; walls stained by tomato sauce and peanut butter. Raw spaghetti crunched beneath his feet. School pencils were strewn along the floor next to a broken window of the small white building on the grounds of the Route 7 church. "Why? Why would they down this?" said LeMien, 75, as he walked around inside the three-year-old pantry, which provides meals to some 50 families a week. The vandalism was discovered Wednesday morning. The vandals apparently pried open a hinged metal padlock, cracked open a side window and hurled cans of tomato sauce, denting the plywood walls and sending sauce up as high as the ceiling. Lighting was ripped down. The pantry's freezers were left open, and more than have-dozen whole chickens were thrown on the floor. All the donated meat in the freezer will need to be replaced. LeMien estimate the vandals destroyed a couple of thousand dollars' worth of food. School supplies and toys intended for children were tossed around the room and stained with food remnants. The refrigerators were smeared with liquids. A box of automatic blood pressure cuffs worth about $500 was stolen. The extent of the vandalism brought tears to church leaders and volunteers Wednesday morning. a few were speechless as they picked up paper towels and sprays to start cleaning so the pantry could open for its regularly scheduled hours Thursday. "Is this the saddest thing you've ever seen? It's nauseating," said the Rev. Stefanie Bennett, the church pastor, who called police Wednesday morning. "All these people did was take food from the mouths of hungry people. It's mind-boggling ... and so very sad." There are no words ... but I have to try. Jesus' ministry was not some kind of theoretical concept. It was real. It was hands on. And it calls us to do radical things. Jesus called us to love, to reach out and to serve. He saw potential in humanity. He knew that the world could be a better place. God created the world and saw that it was Good. We can make it good again. How is this act of vandalism beneficial to humanity? Why would someone do this? Innocent people are going to go without basic human essentials. Children won't have school supplies. Humanity can be better. We can do better. I am so sad to think that someone has so much hurt and anger inside of them that would lead to this. For my Connecticut readers - I would encourage you to either host some sort of food drive or bring your own contribution to the food pantry as they work to re-stock their shelves. New Milford United Methodist Church is located on Route 7 across the street from John Pettibone School. You can call for their hours: 860-354-4596. Midterms AND a Head Cold?! I was fighting this stupid head thing all weekend, opened the door to Monday and WHAM!! - midterms. I'm trying to do what I need to do to get by for the time being but that's only going to get more difficult as the due dates draw closer and closer. I LOVE fall - but I don't love the sinus issues that come with the weather changing!! p.s. SO many people are worse off than I am - it's already been a bad flu season and the media frenzy isn't helping at all. Let's remember to pray for all those affected by this years flu, especially those who have weakened immune systems and are especially vulnerable to it. ... I was listening to Christmas music this afternoon. In fairness to me - I have a (somewhat legitimate) reason. This semester I'm taking three month-long worship practicums. The month of September was Writing Liturgical Texts (I published some of my works in progress here and here) and this month we are on to Christian Year Celebrations: Ash Wednesday to Pentecost. Not surprising, a majority of the class is worship-based. On Friday we broke up into groups that will be responsible for putting on a part of a worship service that would take place during season, as well as creating a booklet of resources for these services that we'll give to our class members to use in their ministries. Wondering what Christmas music has to do with worship services that happen between Ash Wednesday and Pentecost? Well, nothing really. But my group agreed to put on the first service of our class, Palm Sunday, this coming Friday and I thought maybe listening to some "seasonal music" would get me into the spirit of the Christian Holidays. Since I don't have any Palm Sunday music on my iPod - or Easter music for that matter - Christmas music was the best that I could do. ... it put me in a GREAT mood!! But, anyway. 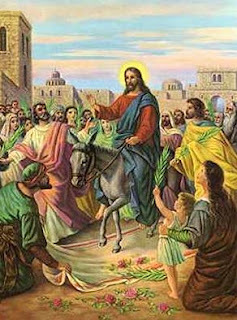 My point of this post is to ask you all if you have an Palm Sunday traditions in your churches that you would be willing to share with me. In my church growing up we would always tell the kids the story, explain to them that the palms weren't weapons and then have them pass them out to the adults. It got the point across, but I just think that there is SO much more that could be done - Jesus was entering TRIUMPHANTLY into Jerusalem after all - and I would love to be able to implement some of that stuff on Friday!! So let me know - what is your favorite part of Palm Sunday?! I am excited for two reasons today - first of all it's Friday (!!) and second of all I have a special guest blogger bringing a message to you all today!!!!! Let me tell you about this awesome blogger. Sarah and I met our freshmen year of college - we lived on the same hall, Paisley 3. We bonded over our love of showtunes, Gilmore Girls and veggie wraps and have been friends ever since. After we graduated from Ursinus, Sarah went on to American University to get her masters and now works for a small PR firm in southeast Pennsylvania. She and I co-author a blog here. Oh - and now that I've changed my name, we're practically the same person. I'm not even joking. 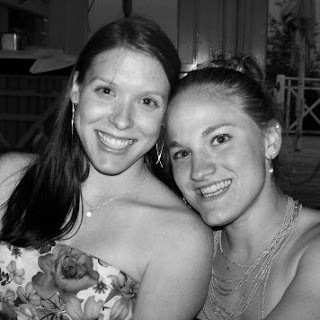 Both of our names start with Sarah Elizabeth We_ _ _ _ AND our last names both have four additional letters after the "We." Strange, right? So ... Enjoy a new perspective!! Hi! I’m Sarah. Not your regularly scheduled Sarah, but a Sarah all the same. Anyway, I asked Sarah if I could guest post on her blog and she graciously said yes! Lately, she and I have been discussing the concept of “doing the right thing.” You know the whole what would Jesus do in this situation thing. I recently had a choice about what action to take and, after a lot of deliberation, I chose to do what I considered to be the “right” thing. Certainly not the easy thing, but the right thing. And, it has been less than delightful. In fact, it’s usually less than delightful for me whenever I choose to do the right thing. So, I’ve been all “I’m never doing the right thing again! Whose awful idea was this? !” (Unfortunately, mine). But, I suppose that’s how it goes when you’re trying to do what’s right – a lot of times it is really difficult. It doesn’t typically reap any sort of direct benefit, except for other people. But, it’s not about what you get from it personally. You have to just be satisfied knowing that you made the right choice instead of taking the easy way out. That has to be your reward: knowing you are a responsible adult who isn’t selfishly motivated. Self satisfaction. Then, you just hope that karma will take care of everything eventually. Yep. That's me. These past couple of weeks have been very stressful and - no matter how I dress it up - I am absolutely worn out. ... and it was exactly what I needed to hear. I'm going to share part of it and just leave it at that - I hope it speaks to you the words you need to hear tonight. In the meantime ... come back tomorrow. I've got a guest blogger coming!! Maybe Moses is going through a moment of ingratitude himself. Maybe the point is that nobody is above ingratitude, not even Moses. Maybe he’s not as different, not quite as special, as he might think. Or maybe it’s just part of the challenge of being human. Like him, we all have a tendency to see God’s hand in our comforts, and God’s inattention in our challenges. And that sense of God’s inattention makes us inclined to cast blame, to shake our fists at the sky. In a funny way, maybe that is why religion still truly matters. For all its faults, and it has many, religion offers us a way to learn how to be grateful for the right things. And it helps us to sort out blessings from mere comforts, and to sort out God’s role in our challenges from our own. Most of life’s messes are really of our own making. Most of life’s great blessings are shrouded in mystery and love. Religion helps us to see that. But more than that, we need to learn how to say “thank you” to the Universe. And we need to learn it not because the Universe—or God—requires it, but because we lose something wonderful in ourselves if we don’t. Without it, we risk forgetting just what a gift it is to be alive. For all our imperfections, and for all life’s heartbreak, we are incredibly blessed to be here. To have this day. To have this time. To be on this journey. We can’t let ourselves forget that. We lose something very precious if we do. Gratitude isn’t a dull chore to be endured; it’s a joy to be encountered. As people of faith, we should seek it out. We should become really good at it so that everyone, everywhere can find it in us whenever they decide to go looking for it.